The buses began lining 3rd Street in Washington, D.C., early on the morning of September 8th. For anyone on Capitol Hill who doubted the resolve and commitment of UMWA members to the fight to secure their hard-earned pension and health care benefits, that question was answered early in the day. By 10:30 a.m. nearly all of the more than 125 buses from 14 states had offloaded almost 7,000 UMWA members, their families and supporters. As the crowd continued to arrive, the mass of Union members and supporters filled Union Square and spilled across 3rd Street onto the National Park Service grounds. When President Roberts kicked off the rally at 11:00 a.m., people filled the grassy areas on both sides of the street. With temperatures reaching the mid-90’s, UMWA members continued to arrive. By the time the rally was in full swing, more than 10,000 people braved the heat to force the government to take action and protect their pensions and health care. 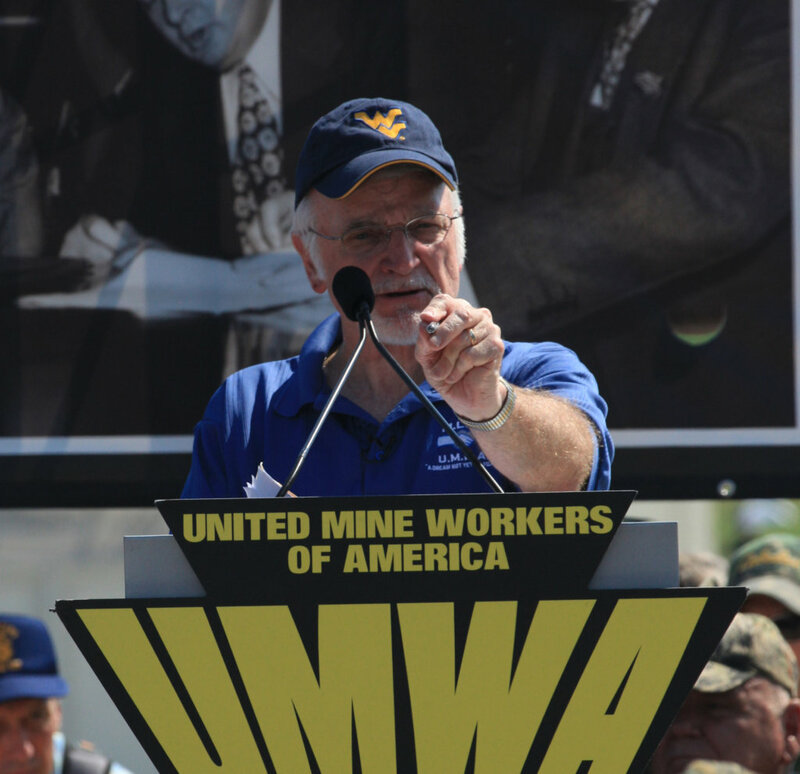 For more than four years the United Mine Workers of America (UMWA), along with its friends in the Labor Movement, have traveled across the Country to stir the conscious of the Nation and build support for miners and their families, who through no fault of their own, have seen the retirement security they worked for all their lives threatened.